Download and Enjoy an amazing addition to big truck transporter games, the top most of all transport truck and cargo truck games. We assure, truck transporter games 3D simulator not once gave you such a mega cargo truck experience of driving heavy truck with trailer transport with the heavy load. 3D transport truck is one of the dream transporter games for the lovers of heavy excavator simulator and crane truck games who like tractor driving, tractor parking and driving other construction machines. So get ready for a wonderful HEAVY Machine TRANSPORTER TRUCK fun driving game where you can show off your parking, driving and heavy equipment transportation skills. The game is about heavy machinery and heavy equipment transporter, a new kind of cargo heavy truck trailer transport game to load, deliver, and unload large machinery construction vehicles like dumper truck, crane, excavator bulldozer and shovel on top of your truck transporter loader. check out! You’re about to drive the huge automobile transporter lorry and it contains the most expensive construction vehicles. In this extremely fun driving and parking mania game you will be given with some heavyweight building machines and your core assignment is to deliver building equipment from factory to the construction area in the city. Drive and load all heavy duty vehicles carefully and maneuver them on the trailer so they fit in perfectly within the indicated spot. Then drive the massive trucker to the destination by following arrow while managing the huge load with precision and accuracy. Do your job carefully. You have time limit in each level. Try to be the best truck driver in the city, become a real trucker! • Real experience of driving heavy crane transporter 3D. 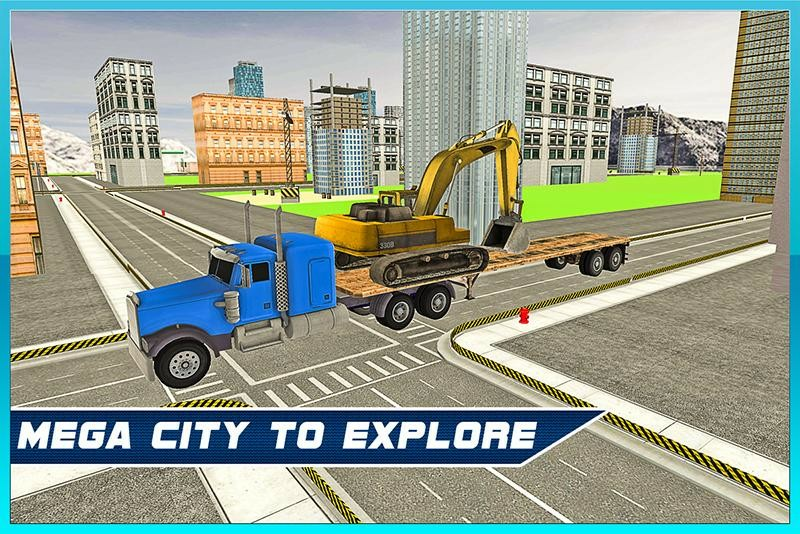 • Realistic city environment exploration with truck simulator 3D mania. • One of the best real transport games 3D. • 10 exciting levels of big transporter driving. • Smooth steering, brakes, lifting, turning and truck pull controls. • Astonishing 3D graphics for the feel of heavy truck trailer transport. • Accurate physical simulation for truck driving and vehicle parking. So time to enjoy the large jumbo transport truck with heavy equipment transporter simulation which gives you the excitement of cargo trucker blended with the fun of transporter games. 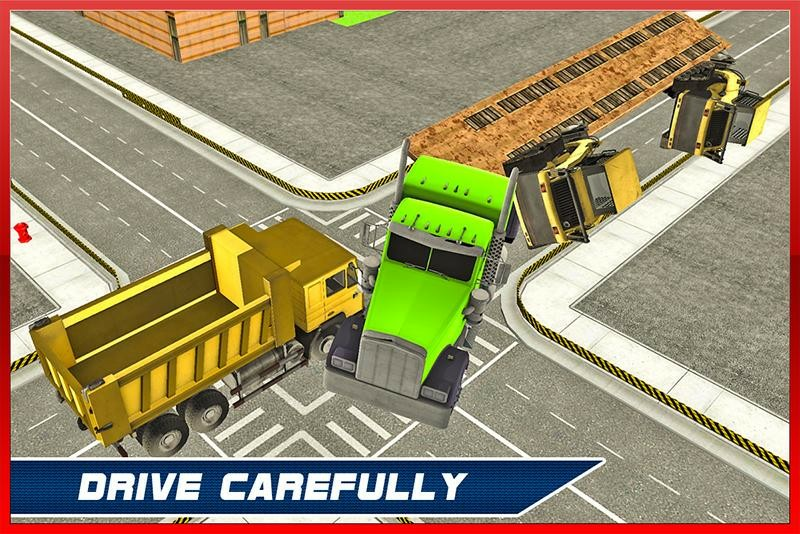 If you love playing 3D truck transporter games and like heavy excavator then the game is made for you. Cargo truck trailers games never featured like this heavy truck trailer transport game. 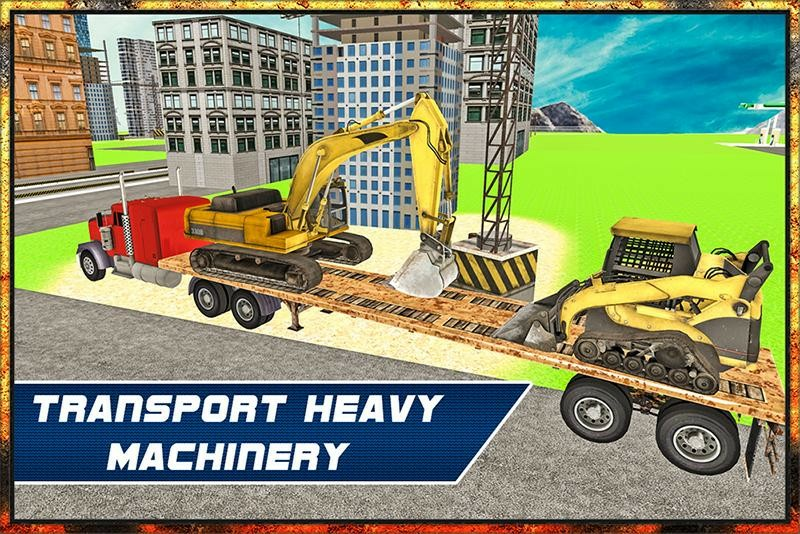 Play the HEAVY MACHINERY TRANSPORTER TRUCK, the trailer truck to transport jumbo equipment!